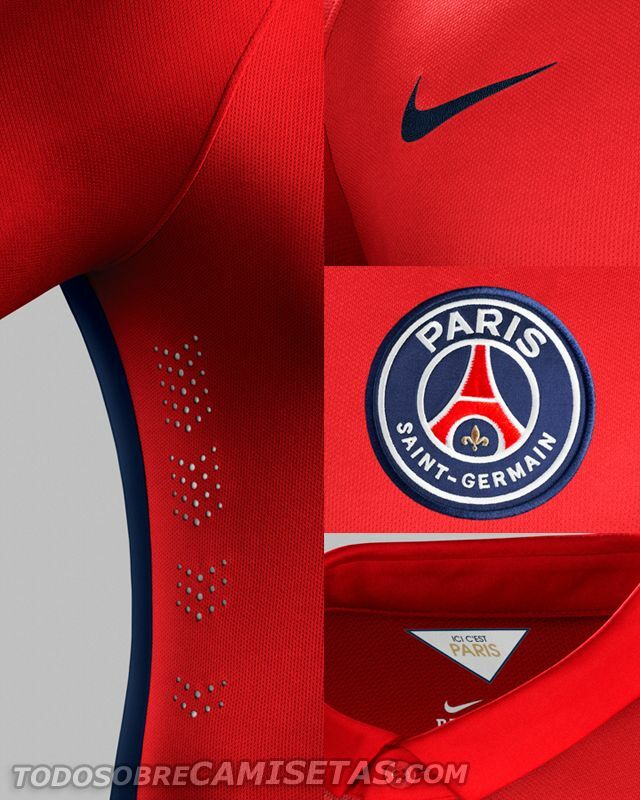 The second of Nike’s round of launchings is the third kit for Paris Saint Germain, that will also have the European polo template by the US brand. 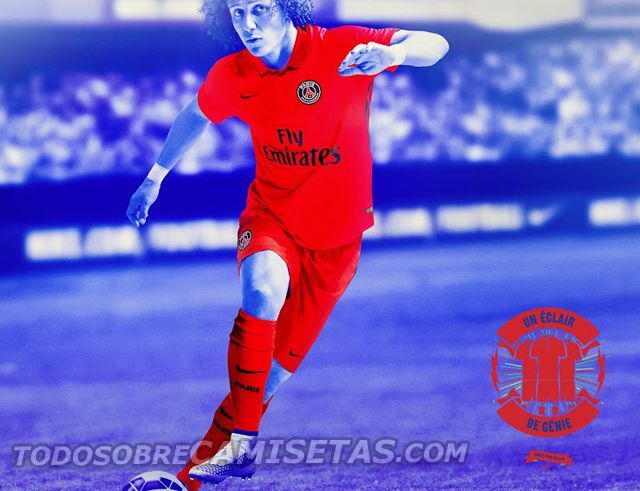 This time, the chosen colors are red and blue, somehow the opposite for Manchester United’s third kit, with blue populating the sidelines over the shoulders and sides, while the two shades of red decorate the rest of the shirt. 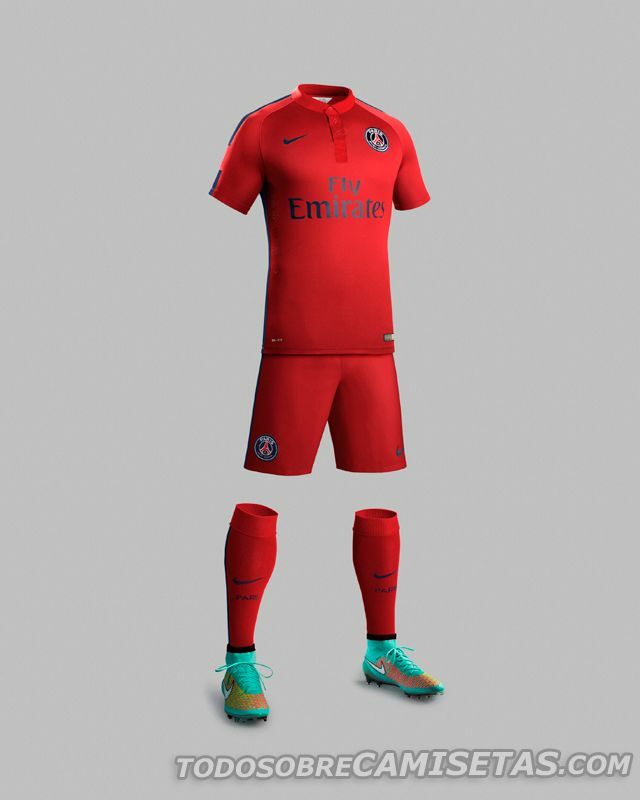 Shorts and socks are equal to the jersey, completing the European cup uniform for Ibra and David Luiz’s PSG. 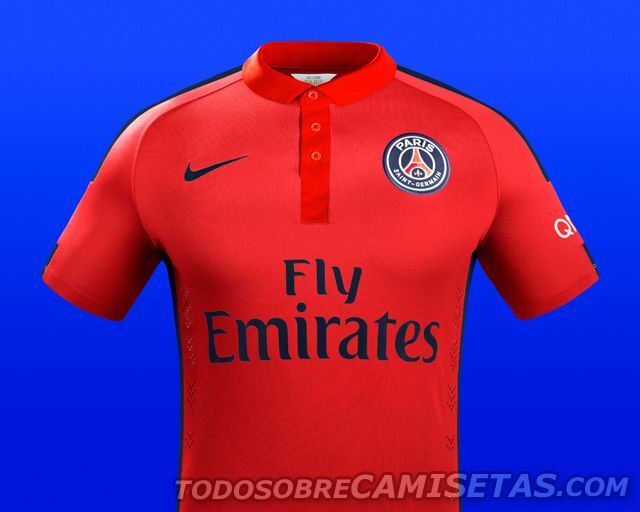 Do you like this choice of colors? How do you rate it between 1 and 10?